Hello Linux Geeksters. 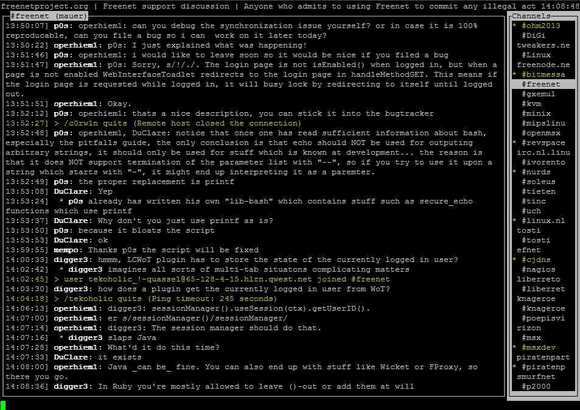 As you may know, F-IRC is an open-source commandline interface IRC client. With a friendly interface, it enables the users to navigate quickly via the keyboard shortcuts. Among others, it allows the users to select channels and toggle between them easily, go to actions via the pop-up menu and easy configure it. The latest version available is F-IRC 1.35. In this article I will show you how to install F-IRC 1.35 on Ubuntu 14.04 Trusty Tahr, Ubuntu 13.10 Saucy Salamander, Ubuntu 12.10 Quantal Quetzal, Ubuntu 12.04 Precise Pangolin, Linux Mint 16 Petra, Linux Mint 14 Nadia, Linux Mint 13 Maya and Elementary OS 0.2 Luna. How to I start , main f-irc amd64 from the whisker menu ?